Residents had been living in temporary immigrant camps formed by a series of canvas huts. 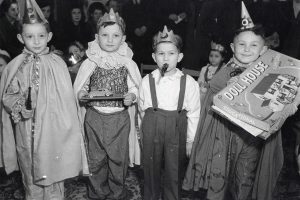 For the 200 residents of an old age home in Netanya, Israel, Purim 1955 was not only an opportunity for gifting food baskets, reciting the megillah and having a celebratory feast. It was an opportunity for the seniors, many of whom were refugees from Europe, North Africa and the Middle East, to perform Purim sketches for the medical and social welfare professionals who served them. 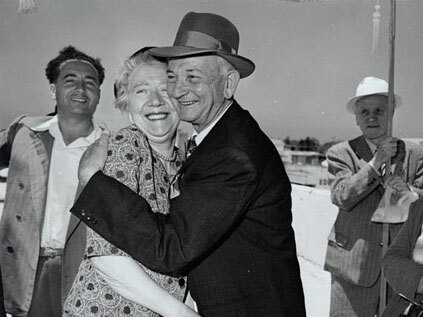 Elderly couple embrace under the chupah after their wedding at a JDC Malben home for the Aged, 1959. 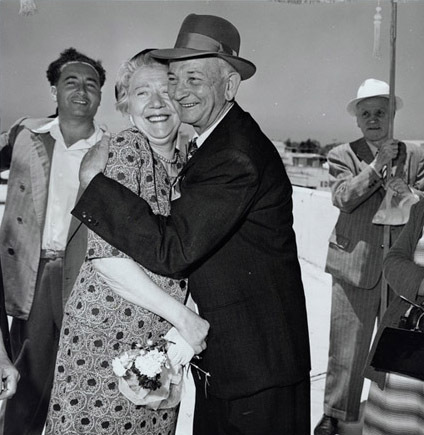 While weddings were imitated at the 1955 Purim celebration, this is from a real wedding! 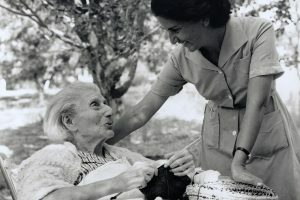 The old age home was a program of MALBEN, a JDC-supported network of institutions and services for handicapped, elderly and chronically ill immigrants. Until just a few days before Purim, the residents had been living in temporary immigrant camps formed by a series of canvas huts. According to our records, the team of social workers, doctors, nurses and therapists had helped the residents transition to comfortable buildings with furnishings suited to their health and strength capacities. The scene was lively as seniors waltzed across the room and performed a mock quintuplet wedding ceremony to the delight of the onlookers. As the Jewish people expressed gratitude to G-d for their salvation from Haman, the villain of the Purim story, it was fitting that the seniors expressed gratitude to their welfare and medical case workers who had helped them build life anew.